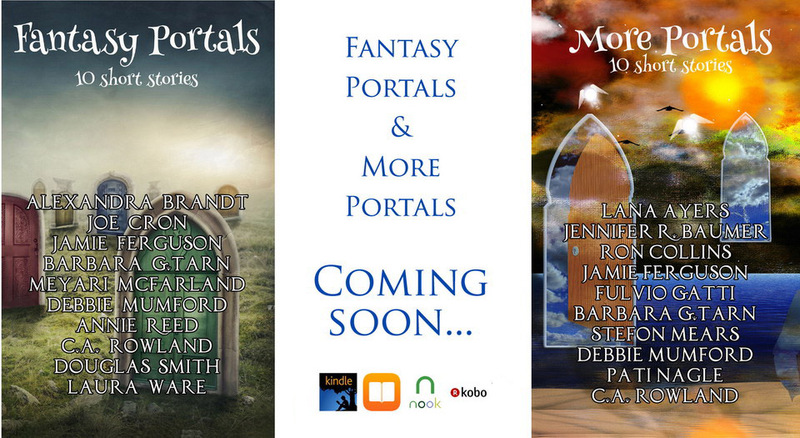 Pre-order buttons for two brand new collaboration anthologies, Fantasy Portals and More Portals. These two ebooks will go live on the 14th. Two great collections with different voices that will take you to other worlds and back. Whether you’re sucked in, you fall into it or you see it and decide to explore what’s beyond, a portal is always an opening to a great adventure. From our world to others, alone or in good company, our heroes and heroines reach “somewhere” down the rabbit hole and meet strange creatures. Sometimes those creatures are the protagonists and help humans. Sometimes the other world is not as shiny as it first looks. 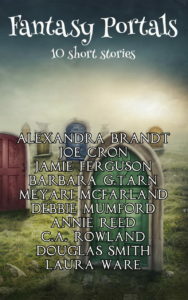 10 stories of fantasy portals. 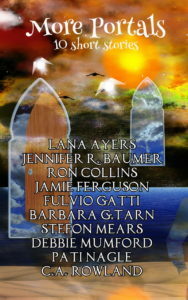 More portals, including science fiction ones that either take to other worlds, aliens, back in time or other dimensions. With some traditional portal fantasy and a couple of weird tales of passages between worlds. 10 portal stories of discovery that sometimes lead to love.